The lobbies on the first and third floor of BB&T Center will have a new, dramatic and modern look with stone and porcelain walls and floors, LED lighting, and custom perforated back-lit ceiling and wall elements. The new exterior main entry along College Street will feature custom, backlit perforated metal panels, storefront, and canopy. The second floor will include a Tenant Amenity Center with training rooms, conference spaces, event space, and casual amenities including the new addition of a 1,400 SF outdoor tenant lounge along College Street. Overstreet Mall renovation plans on the third floor consist of modernizing the existing mall space with new floor and wall finishes, updated ceilings, and new, brighter LED lighting, while maintaining operation of the mall during renovation. Surrounded by amenities with the highest parking ratio in Downtown Charlotte. 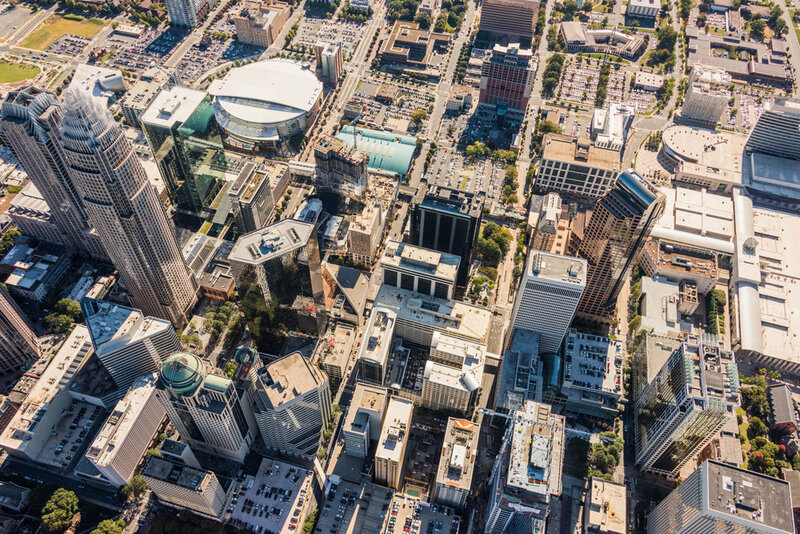 Ø Centrally located in Downtown Charlotte with access to Overstreet Mall, downtown’s retail hub, connected by pedestrian bridges and sky tunnels. Ø Overstreet Mall provides covered access to eight office buildings, six hotels, The Blumenthal Performing Arts Center, and more than 100 restaurants and retail shops. Ø This building was awarded an Energy Star label in 2010, 2013, 2014 and 2015 for its operating efficiency. Ø This building has been Wired Certified Silver which guarantees that fiber connectivity is available in the building, as well as choice of internet service providers to support diverse connections. Ø Internet service providers available: AT&T Fiber, Cogent-Fiber, Time Warner Cable-Coaxial, Level 3-Fiber, Windstream-Fiber, AT&T Copper, Time Warner Cable-Fiber.